Time Span (60 Second) - Specific time span in increasing 60 second intervals. Number Of Calls - Total number of calls in 60 second length intervals..
% of Calls - Percentage of calls in this interval versus total number of calls. Time Span (15 Second) - Specific time span in increasing 15 second intervals. 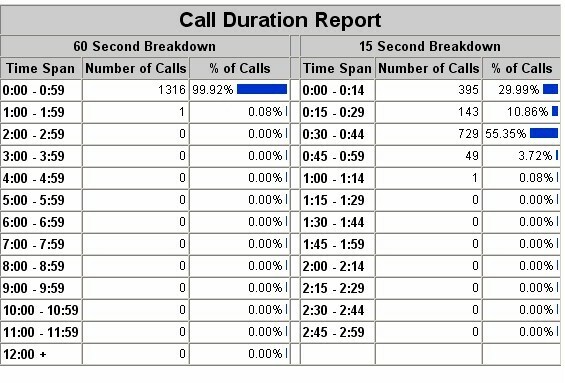 Number Of Calls - Total number of calls in 15 second length intervals..